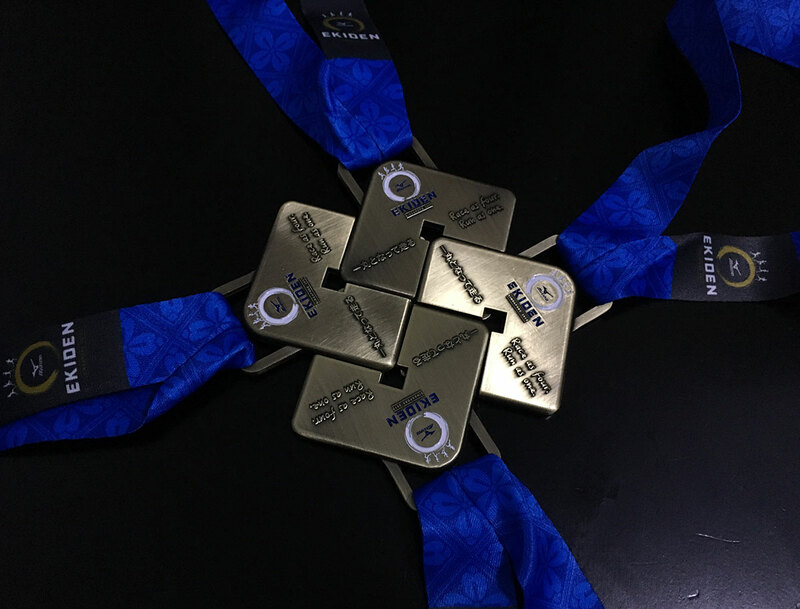 Teamwork and Camaraderie Takes Centre-Stage At Mizuno Ekiden 2017 | JustRunLah! 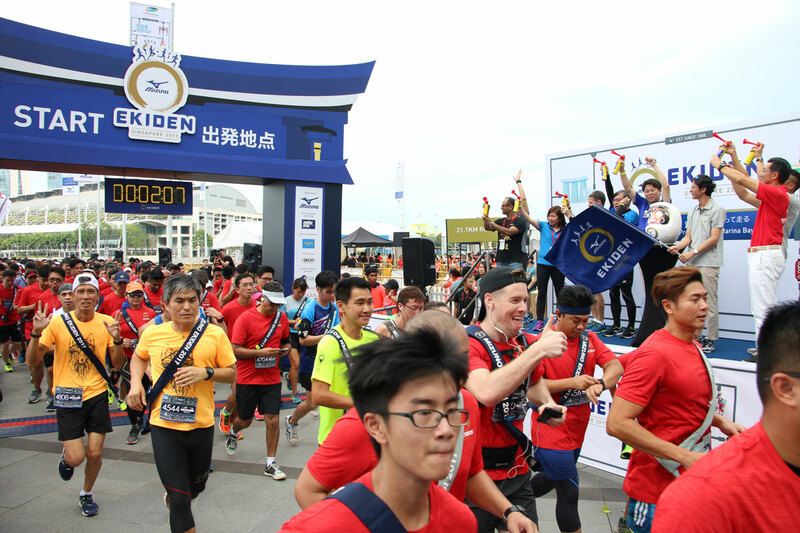 SINGAPORE, 19 August 2017 – Close to 4,000 runners thronged The Promontory @ Marina Bay for the third edition of Mizuno Ekiden which took place earlier today. With an emphasis on teamwork and camaraderie, participants completed the run as a team of four amidst loud cheers from supporters and spectators. The evening concluded with runners from all categories gathering at the Matsuri Race Village for an array of Japanese food, exciting games and performances. The Ambassador of Japan in Singapore, His Excellency Mr Kenji Shinoda graced the event and flagged off all race categories in the afternoon. “Ekiden is a long-held Japanese tradition and it is an honour to share this piece of culture with the runners here in Singapore. 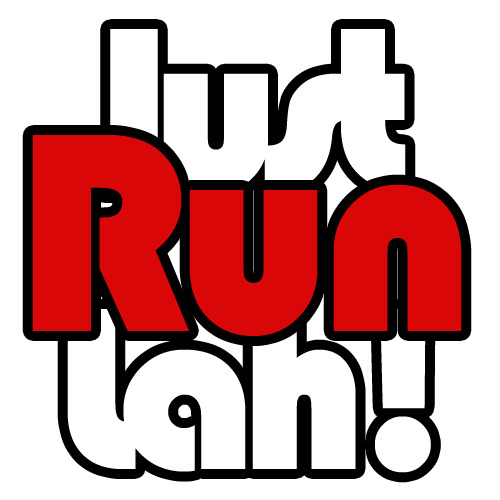 It is very encouraging to see Singaporeans and runners from around the region support a run that promotes the Japanese spirit,” commented H.E. Mr Kenji Shinoda. For the 21.1KM Corporate Category, the fierce competition this year saw Team COL, consisting of Mr Cleeve Mu, Mr Ramesh Palaniandy, Mr Yew Meng Tan and Mr Zainul Arrifin, clinch the top prize of over SGD$2,000 worth of cash and vouchers. The quartet representing Singapore Prison Service completed their race in 1 hour 24 minutes and defended their first place win from last year’s race. They have been winners of the same category since the race inception. “Compared to last year, the competition this year was much tougher and we were not in the top positions in the first half of the race. Thankfully, we managed to close the gap and eventually emerge as this year’s champions and defend our title,” exclaimed team member, 41-year-old Palaniandy. In other categories, the quartet of Mark Calton, Takuya Sawada, Creighton Connolly, Yuta Suda won the 42.195KM Open Category with a timing of 2 hours 36 minutes while team F1 Runners won the 21.1KM Open Category with a timing of 1 hour 20 minutes. “This is the first time we beat the Gurkhas and we were not expecting it at all. We kept our spirits high throughout even though the race was pretty competitive. We definitely would like to be back next year to retain our title,” commented Creighton Connolly, 29, Team Captain of Shufflers 1, Champion for the 42.195KM Open Category. Completing the Mizuno Ekiden was a Matsuri Race Village which treated runners and members of public to a wide range of Japanese food and beverages such as ramen, takoyaki, ice cream and beer. Various Japanese-themed activities also kept our runners occupied while they enjoyed the rest of the evening at the Mizuno Ekiden Matsuri Race Village. For more information on the event, please visit www.mizuno.asia/ekiden or www.facebook.com/MizunoEkiden.